Mercury Product Protection is completely administered and backed by Mercury Marine, no other independent provider or insurance company can make that statement. Mercury Marine has been the leader in marine propulsion for more then 65 years and no one knows your Mercury product better than the people who made it. Mercury Product Protection provides comprehensive component coverage (including labor) for breakdown failures caused from a defect in material or workmanship, similar to the standard limited warranty. You may select from one-, two-, three-, four, five, or six-year plans that become effective when the factory limited warranty expires. On Mercury outboards and MerCruiser engines, there is a seven year maximum for the combined standard limited warranty and contract period. The Great Ones Live On - Mercury Marine introduces its first Certified Pre-Owned Engine program so you can get the value of a fully inspected and refurbished Mercury without the worry usually associated with buying a used product. 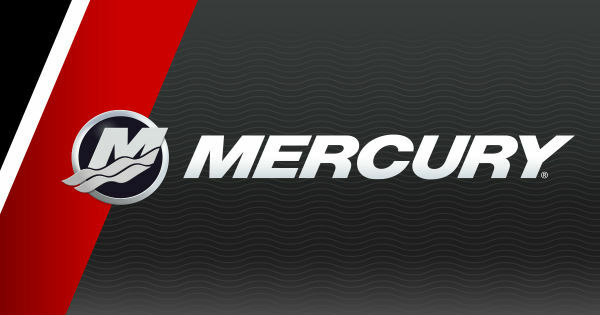 The Mercury Certified Pre-Owned Protection allows you to purchase 1 or 2 years of our extended service contract on eligible engines. Cylinder block and internally lubricated parts contained within the cylinder block, including: Engine head(s); rocker covers; timing gear cover; crankshaft; main bearings; connecting rods; rod bearings; pistons; piston rings and wrist pins; camshaft and bearings; rocker arms; valves; vale springs; guides and seats; valve push rods; lifters; flywheel and ring gear; harmonic balancer; reed valve; reed blocks; timing chain or belt; timing gears; distributor housing; shaft and gear; oil pump; oil pan; intake and exhaust manifolds; circulatory water pump and seals and gaskets if mechanically defective. Internally lubricated parts contained within the transmission or gear case; the case if damaged beyond use as a result of a covered component breakdown; seals and gaskets if mechanically defective. Internally lubricated parts contained within the drive shaft housing if damaged as a result of lubricated parts contained within the drive shaft housing if damaged as a result of a covered component breakdown; seals and gaskets if mechanically defective. Power steering cylinders and pumps; Mercury Precision Parts, Quicksilver, or Mercury supplied cables, steering control helm, rack and yoke. Gimbal bearings; universal joint yokes, socket, cross and bearings; gimbal housing; gimbal ring, bell housing if damaged as a result of a breakdown or covered component. Wire harness; starter; solenoid; circuit breaker; alternator; voltage regulator; Mercury Precision Parts or Quicksilver instruments; switches; ignition coils; stators; triggers; switch boxes; ECM box, temperature and pressure sensors, warning horns and signals, EFI electrical components. Trim pump; trim motor, cylinders, solenoid; limit switch; wiring harness; trim position senders. Carburetor body; fuel delivery pump; compressor; fuel cooler; fuel injection pump; flame arrestor; fuel injectors and manifold body. All Mercury Precision Parts or Quicksilver engine related accessories except propellers.